Win an exclusive Earnably promo code with the GPT Genies! We’ve been talking about Earnably in the group a fair bit recently and, since it’s been far too long since we ran a competition, we put our heads together and came up with something new for you! Yes, this time around Earnably is sponsoring our new Facebook Group COMPETITION and there are 6 EXCLUSIVE promo codes up for grabs! There are three simple steps to enter so read on and get started! 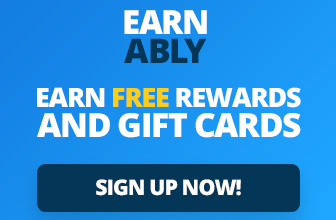 STEP ONE: You must be a member of Earnably! If you haven’t joined yet, click on the picture below and sign up. STEP TWO: Leave a comment on our Newbie’s Guide to Earnably telling us what your favourite thing about Earnably is and giving a tip to newbies. Please try to be original if you can! STEP THREE: You need to be a member of the Facebook Group and comment on our official competition announcement post in the group to take part. Not a member? Pop over to Facebook and apply to join now! Your entry to the competition will be invalid if you miss out this vital step. Entry period: 10:30 BST, Wednesday, 23rd May – 23:59 BST, Saturday 26th May. You must complete all three steps during this period. Earnably have kindly offered to sponsor the rewards for this contest! Thank them on Twitter or Facebook! Winners will be announced within 3 days from the competition end date. The competition closes on 26/05/2018 at 23:59 BST. No entries will be accepted after this time. A post will be made in the group, on or before 30/05/2018, announcing the winners and the promo codes will be emailed to the winners soon after. You must complete all three steps to be eligible.